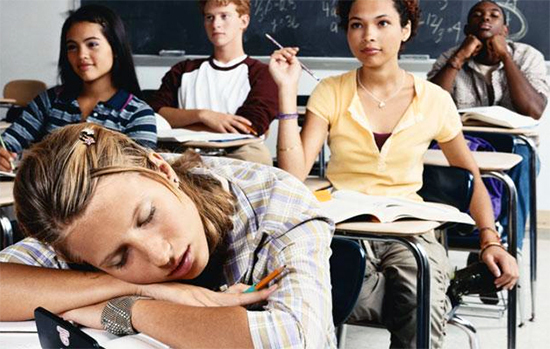 Between school, homework and after school activities, kids may not get enough sleep. Sleep is important and contributes to overall health and well-being and helps kids stay focused, improve concentration and improve academic performance. According to the CDC, children and adolescents who do not get enough sleep have a higher risk for many health problems, including obesity, diabetes, poor mental health and injuries. They are also more likely to have attention and behavior problems, which can contribute to poor academic performance in school. How much sleep does the average child need? Ages 6-12 need 9-12 hours of sleep a night. Ages 13-18 years need 8-10 hours of sleep a night. What can parents do to help their kids get a good night’s sleep? Set examples and encourage habits that promote good sleep. Set a regular bedtime and wake up time, including weekends. Incorporate dim lighting in your kids rooms. Implement a screen curfew – no devices after a specific time. Check out this website for some tips on educating kids about getting good sleep.